Businesses, offices and other commercial establishments require specialised cleaning, most of the time on a regular basis too. 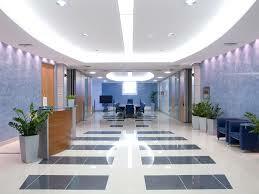 The most efficient and cost effective way to maintain your commercial premises clean and santisied is to use our professional commercial cleaning service in Reading RG1 and never worry about workplace hygiene again. We understand that immaculate hygiene throughout the premises is more than just a necessity for many establishments but also a law imposed requirement. This is why our commercial cleaning in Reading RG1 is a thorough, fully comprehensive cleaning solution that covers the entire premises. Our cleaners will be extra diligent and attentive when going over heavy duty zones of the premises like toilets, common and coffee break areas, entrances and hallways etc. Special attention will be paid to work areas and stations where there is lots of foot traffic. The commercial cleaning available in Reading RG1 is also quite versatile as it can be requested on a fixed schedule basis, as well as one off. 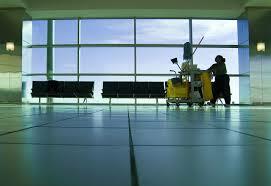 The frequency and duration of the regular cleaning will depend solely on customer preferences and availability. The fixed schedule cleaning is a perfect way to maintain your premises clean and sanitised at all times, without having to incur excess costs. The one off cleaning, and the regular cleaning visits can take place before or after opening hours, or over the weekend. This cleaning service is performed by specially qualified commercial property cleaners, using industry certified cleaning systems and materials. All cleaning products used are nontoxic and do not pose a health risk to occupants. Working with professional grade cleaning materials and products, ensures best results and reduced cleaning time – both of which are essential for all businesses and commercial establishments.